DID YOU MEAN TOOTH FAIRY LETTERS? 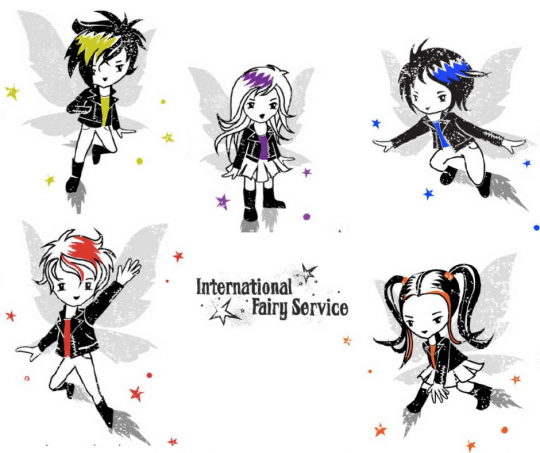 A magical personalised Fairy Letter from the On-Duty Fairy. On special paper with sparkling gold and silver leaf in, with golden sparkle twine and a Dew Drop Magnifying Lens. 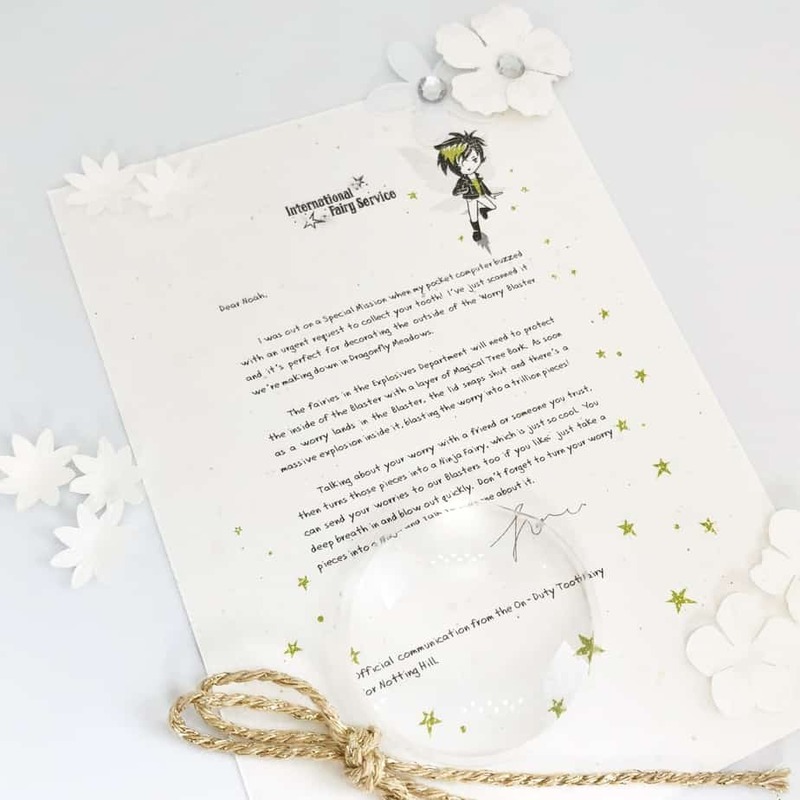 This wonderfully unique Fairy letter is personalised with your child’s name, the name of your street or area, and then stamped with the image of the Fairy who visited. Which one will visit this time? We use beautiful recycled paper with gold and silver leaf in. 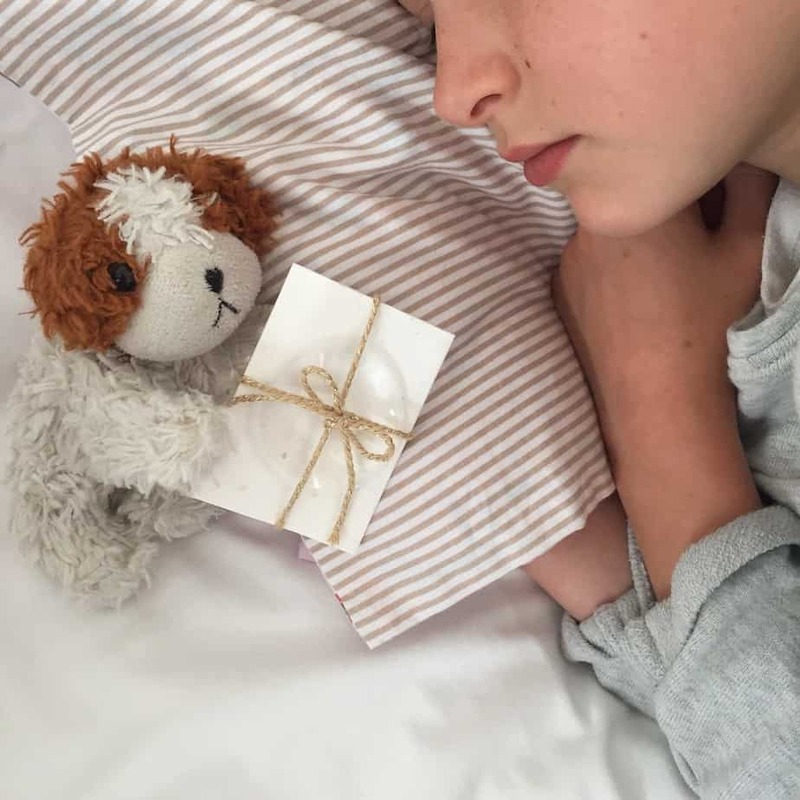 And, being a sucker for parcels, what’s more exciting than finding a Fairy letter wrapped up like a parcel with some gorgeous natural soft cotton gold twine with sparkles in? 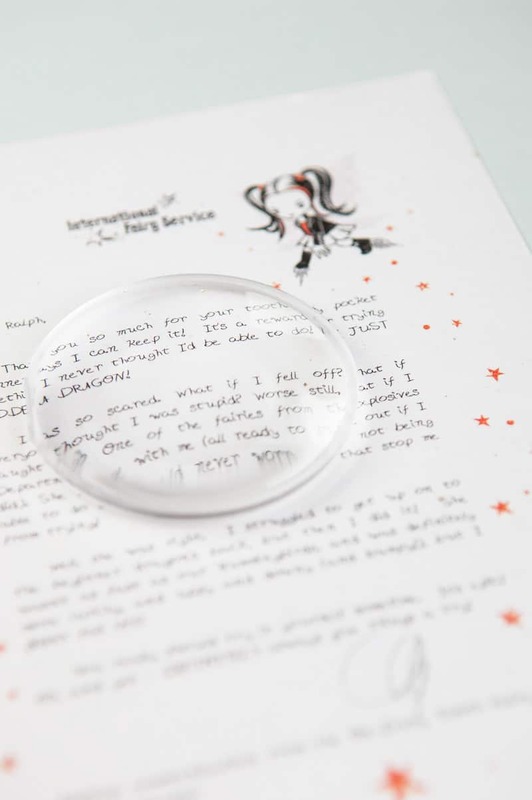 No Fairy letter is complete without a lovely dew drop magnifying lens to read it with either. Well you don’t need one really, but it does make it easier, PLUS it’s so much more fun! These super cool fairies live in a world of dragons (who set fire to your lunch by mistake), Mystery Gardens (with changing adventures inside), Magical Potion Fairies, Secret Underground Passageways, Magical Tree Bark, Time Travel … and more. They also give helpful tips on how children might manage difficult childhood emotions. Worries can be so overwhelming, and what better way to blast them away than by using a Worry Blaster? The On-Duty Tooth Fairy (they write ‘normal’ Fairy Letters too!) is sent on a mission to find some smooth pebbles, which are perfect for decorating the Worry Blaster they’re building. Worry Blasters blast worries into a trillion pieces and, by talking to someone about your worry, you can turn these pieces into a Ninja Fairy! 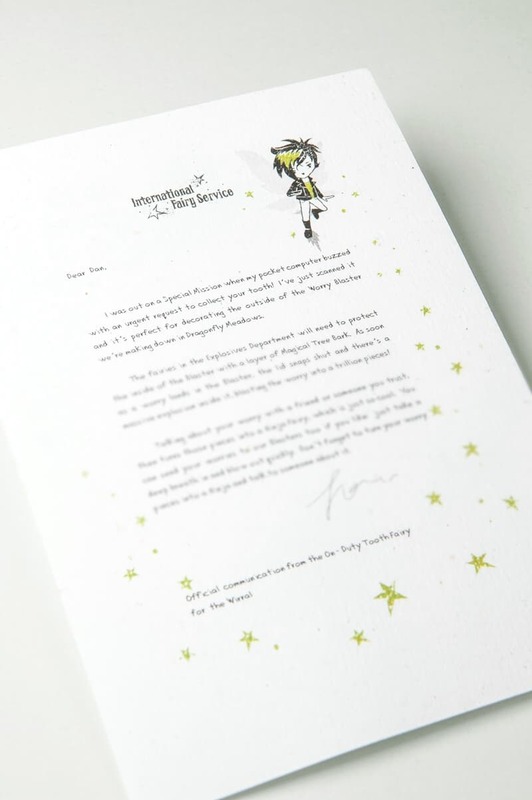 A personalised letter stamped with an image of the On-Duty Tooth Fairy who visited your child. A6 size, for you to fold in half, and then half again! 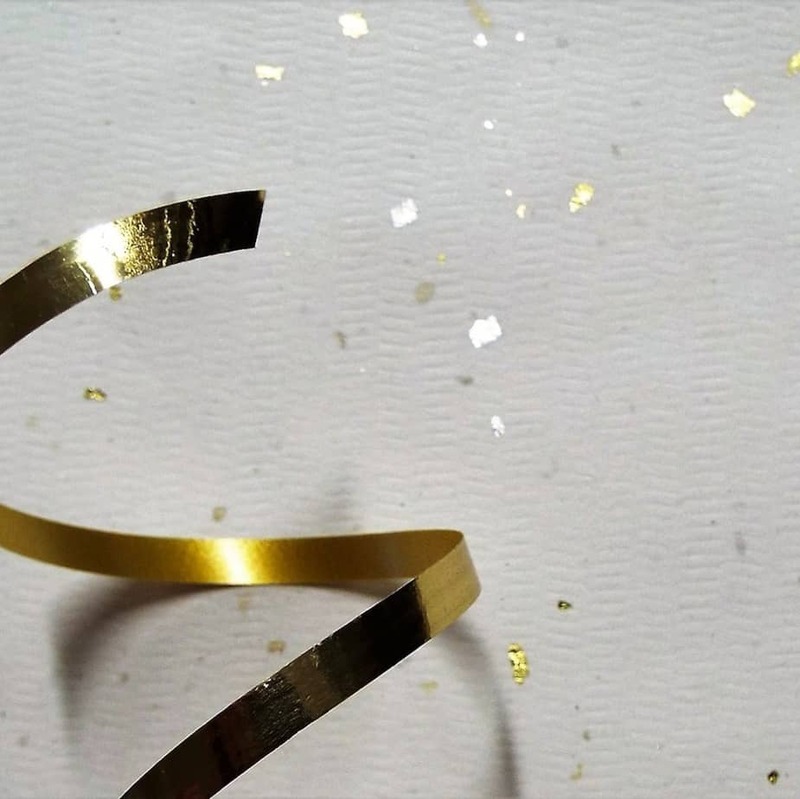 A length of gold sparkle twine. Paper — 100% recycled paper, with gold & silver leaf. It looks gorgeous, and is a lovely concept. My son was utterly enthralled with the image of exploding worries and entranced by the thought that he was creating ninja fairies! Just magic. My husband is very sceptical and even he thought it was awesome.